The past couple of weeks I am really into rock climbing. 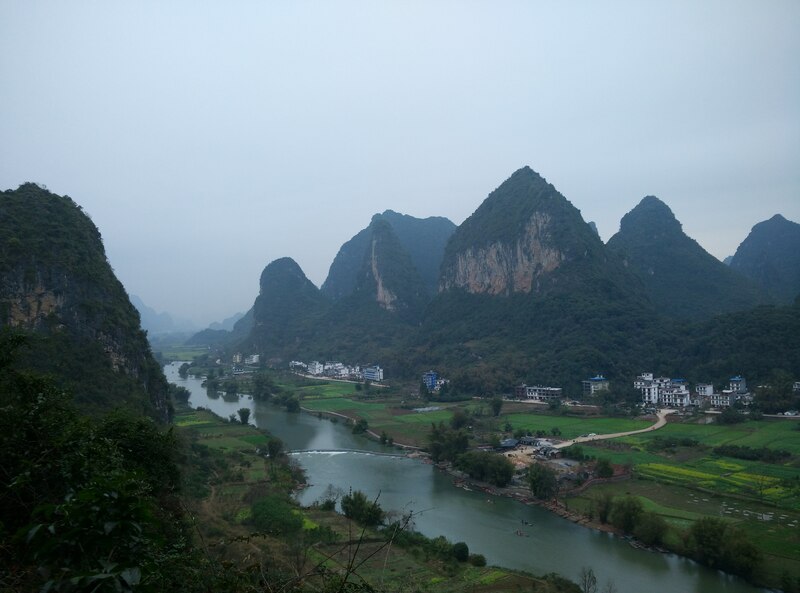 I have been living in Yangshuo for more than 6 years, but never really did it. I just didn’t hang out with the climbers and I was focussing too much on Tai Chi. But, since I came back, I have a student who is a climber and I was teaching during Chinese Newyear. 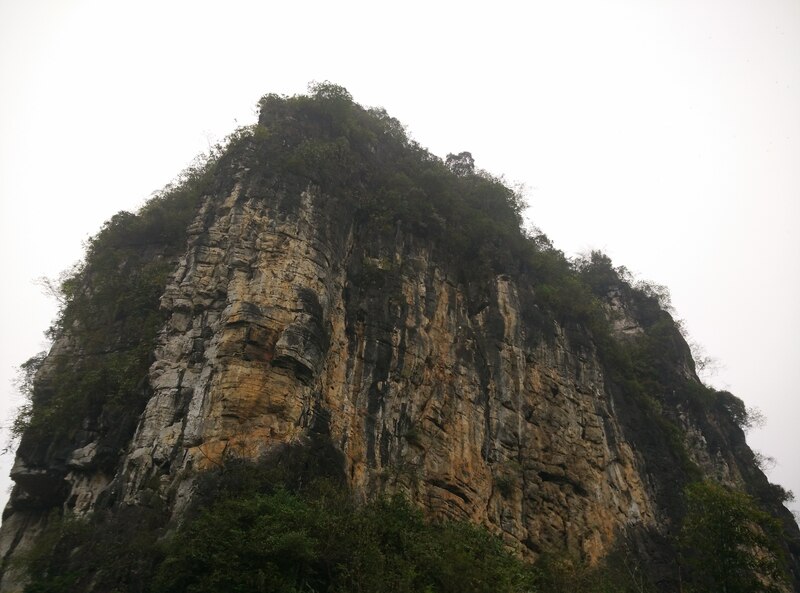 On the first day of Chinese Newyear, we had a barbecue on the countryside near a good climbing area. He had his climbing gear with him and some of his friends came to climb as well. It was a perfect day!! And, even though my arms felt pumped mid-way I finished the route, which I was so proud of. From then on I loved it and went climbing every weekend. I went to places around Yangshuo I had never been before and I met some of the best people. The climbing community is something special! Everyone is very friendly, want to help you, encourage you on your climb and share everything. It is so laid back and being in nature, with birds singing around you, is just a magical feeling. The other, more magnificent, feeling is the feeling of victory, of overcoming yourself. Rock climbing is a little about technique, but much more about overcoming fear, being confident in your strength and to overcome your mind. I started with not so easy routes and went to more difficult ones too quickly. I always wanted to give up mid-way (a couple of times I really had to, because it was too difficult), but then my friends would encourage me to try one last time and all of a sudden I could finish the route. So, it’s not my lack of strength or my lack of technique (though if you look at my arms and knees, I do need to work on my technique: I have scratches and bruises everywhere). Mostly, it is in my head. My mind is telling me that I am not strong enough or I suddenly feel afraid of falling and that the rope won’t hold me and I will die. This is why I want to do rock climbing more often, because it will not only make my body stronger, but most of all it makes my mind stronger. And a strong mind is good in everything you do. If I believe in my abilities, if I overcome whatever fear I might have, I will succeed more in life. I will succeed in other areas in my life as well: finance, relationship, career, health,… Because I take well-measured risks, because I learn to know how far my body and mind can go and I learn to be able to push my limits a little bit higher each time. But also bear in mind, that you have to take measured risks. To think that you can handle just anything, is foolish. You have to know your limits and if it’s just too difficult, than it means that you have to give up, it’s not the right path for you to walk on. Try a different direction. Everyone has a different path to follow and everyone will know in the end what it was they had to learn and overcome in their life. But the way towards the end, the learning process, is far more interesting and far more challenging. This is what I have discovered while rock climbing. I gave up too easily all the time, I pitied myself sometimes for not having a good career, no money, not having a longlasting relationship. It is amazing that a kind of exercise made me realize so much about my life. Even though, rock climbing is laid back, you are also always aware of the feeling that, if something goes wrong, you lose your life. I think, this is what makes this sport so philosophical as well! Today is Lantern Festival, the last day of the Chinese New Year. A new year has begun… For us, Westerners, it’s already 2 months into the new year. For Chinese, the Year of the Goat just started. What were your New Year’s resolutions for this year? Do you still stick to them? Or did you forgot about them already? According to a study, just 8% of all people that make New Year’s resolutions actual achieve them. One of the reasons is that many people have a high goal to start with or that they want to achieve too much in short time. When it doesn’t work immediately, they are frustrated and give up. The best way to do is to set small attainable goals as the year goes on and sometimes take count of what you have already achieved. When you see progress, it is easy to stick to it and not give up entirely. When you feel something is too difficult to attain, break it down into smaller steps and take each step as it comes. E.g. if you want to lose 5kg every 3 months, but you feel you can’t do it, try 1kg every month. It will go slower, but the result in the end will be the same. Don’t try to change too much at once as well. Change a few things in your lifestyle every few weeks and the transition will go more smoothly. Another problem people face is that they are not specific enough. Some New Year’s resolutions might be: I want to lose weight, I want to eat healthier, I want to do more exercise. Be more specific about your goals. E.g. I want to lose 10kg, I want to eat at least 2 pieces of fruit every day and only once a week junk food or I want to run at least twice a week. This is more specific and you can set your mind easily on this new goal. If something is vague, it will stay vague, we won’t be able to focus on it directly and it’s easier to forget something that is not fixed in our mind. If it’s specific, it will stick in your head more.